As many of you know I am recently engaged and the wedding planning has officially begun! 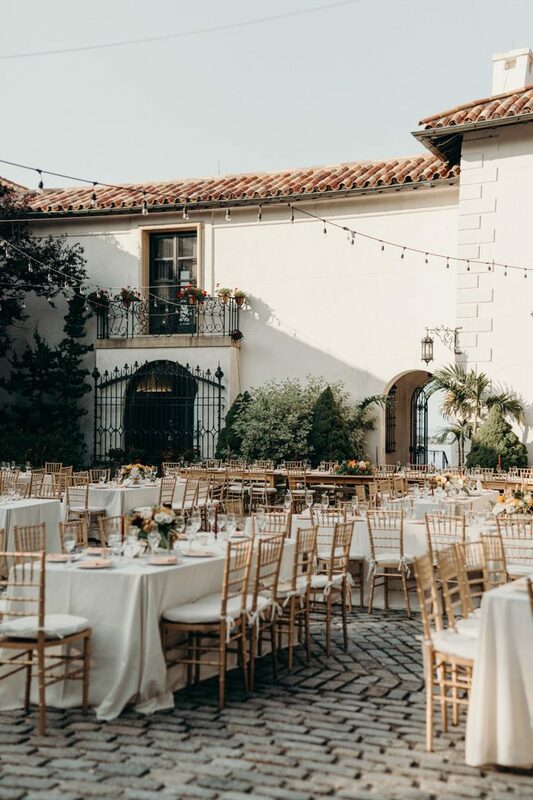 We’re currently looking for reception sites that aren’t your run-of-the-mill venues (boring) and we’ve reached out to several vendors to try and narrow down our list. I’m very particular with the aesthetic, it has to be perfectly on brand. 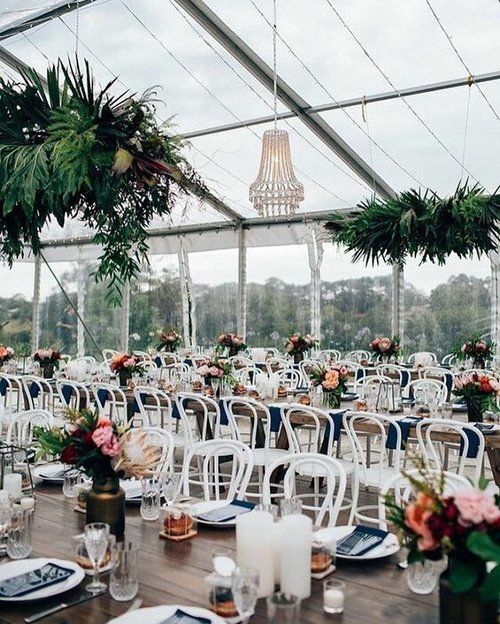 You know- bright botanical garden setting with vibrant details. Please hold the wacky purple LED lighting. I thought it’d be fun to use my blog as a vision board to help curate my ideas. I ideally would love a destination wedding but realistically have to pick something in NYC/Long Island. So I rounded up some of the most stunning locations that will definitely get you inspired. As per late, this is one is at the top of the list. This rooftop venue features exceptional views of St. Patrick’s cathedral and Rockefeller Center from a perfectly manicured garden. What more could you ask for? A quiet and tucked away art museum on the east end transformed into a fairytale. 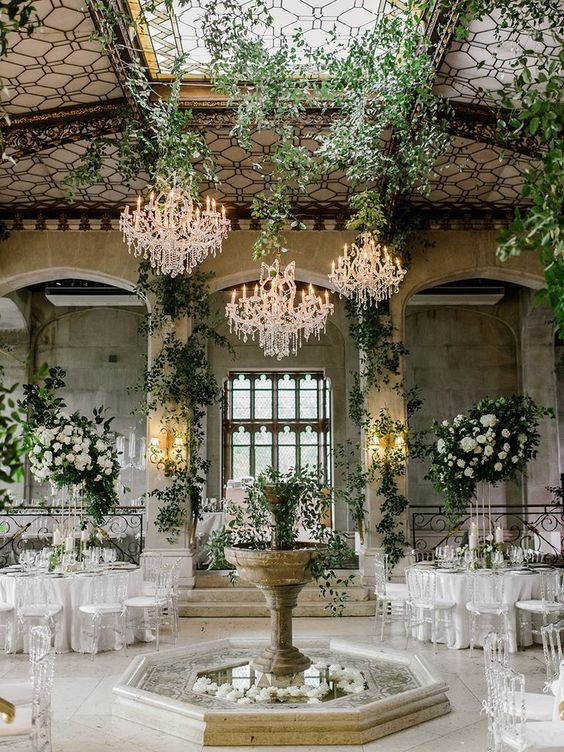 I love the magical table setting with an explosion of flowers and hanging vines. 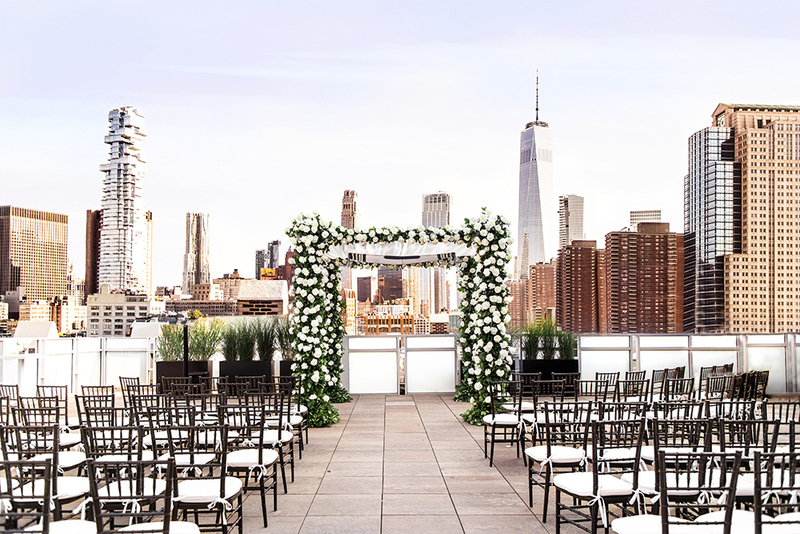 Imagine getting married on a Tribeca rooftop with the Empire State Building as your backdrop. This is a wedding that truly celebrates all things New York. This European-inspired wedding featured on Junebug has me swooning! This hidden gem is a museum right in the heart of Long Island, NY that definitely delivers aesthetic goals. This venue made the top 3 on my list. The Hempstead House is a massive Tudor-style mansion that was built in 1912. It features magnificent architecture, beautifully landscaped gardens and breathtaking views. Sands Point Preserve’s Great Lawn is the gorgeous green centerpiece of the estate, making it the ideal space to host lavish outdoor receptions and dinners. A Hamptons backyard tent wedding is definitely a running contender on my list! I love this idea because you can truly bring your vision to life without restrictions of a venue. Besides from being gorgeous, you can save yourself a hefty site fee by privately renting a residence instead of going through a vendor. "My thoughts on student debt and the status quo"
"Switzerland VLOG and how he proposed"